After Saul was killed in battle against the Philistines (1 Sam. 31), his army captain Abner took Saul’s son, Ish-bosheth (Ishbaal) and made him king (2 Sam. 2:8-10). 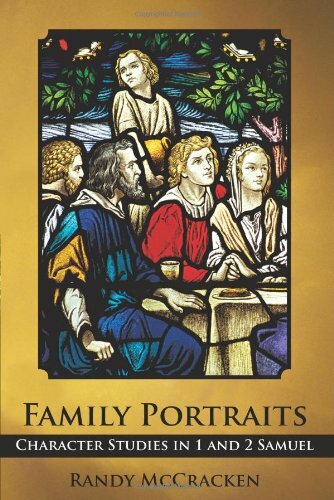 As I discuss in my book Family Portraits, Ish-bosheth is also known by the names Ishbaal and Eshbaal in the Bible (1 Chron. 8:33; 9:39). It has recently been announced that in the summer excavations of 2012 at Khirbet Qeiyafa (see my article on Khirbet Qeiyafa), a large stone storage jar (pithos) was discovered with the name Ishbaal / Eshbaal inscribed on it. This discovery has several interesting features. For starters, this is the first time that the name Ishbaal has been found outside of the Bible. Second, the layer in which the Ishbaal inscription was found dates to the period of 1020-980 B.C., according to radiometric dating. This is precisely the time period in which Saul’s son, Ishbaal would have been active. This Ishbaal, however, is not the son of Saul. We know that because the inscription goes on to read, “son of Bedaʿ.” The name Bedaʿ is unique, not being found in the Bible or in an archaeological context before. According to the authors of a recent article in BASOR (Bulletin of American Schools of Oriental Research) announcing this discovery, “The letters of the inscription are large and clear, similar in size and evenly spaced, and were written by a skilled hand in Canaanite script” (see the full article here). The inscription is the result of a skilled scribe and thus suggests the presence of a developed society. The fact that this inscription is Canaanite is of special interest to paleographers (those who study ancient scripts). Originally it was thought that the Canaanite script was replaced by the so-called Phoenician script at the end of the second millennium B.C. Now we have evidence of the Canaanite script being in use during the monarchy of David thanks to this discovery, along with four other inscriptions (2 more from Khirbet Qeiyafa, 1 from Beth Shemesh, and 1 from Jerusalem). 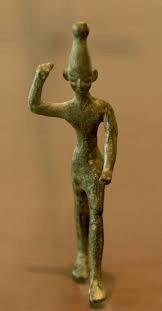 A bronze statue of Baal discovered at Ugarit from the 14th-12th centuries B.C. Baʿal is the name of the Canaanite storm god and was often attached to names just as God (el) orYahweh (yahu, usually spelled with “iah” in English) was. This practice is called using a “theophoric” element, which simply means that the name of the god is embedded in a person’s name. What is interesting about the use of “baal” as a theophoric element in names is that the Bible shows no evidence of its use after the early monarchic period (10th century B.C.). Previous to, and including the early monarchic period, it is found in names like Jerubaal (Gideon’s other name), Meribbaal (Jonathan’s son, also called Mephibosheth), and, of course, Ishbaal. Archaeology reflects the same practice. No inscription has ever been found in Judah from the 9th – 6th centuries with “baal” used as a theophoric element. While Baʿal means “lord” or “master,” its association with the Canaanite god seems to have made it an unpopular name in Judah during those centuries. 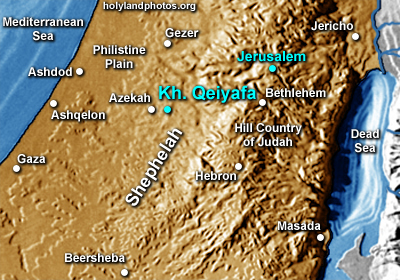 There is still one more inscription from Khirbet Qeiyafa yet to be translated. It will be interesting to see what further light it might shed on this period of history. I’ve worked at both Khirbet Qeiyafa and Lachish over the past 6 years and am about to leave for another season at Lachish. Appreciate your post on the new inscription (Eshbaal). I posted on it last week myself. Would you be interested in volunteering for the Lachish excavation next summer? I go every year with a few people and excavate for two weeks, followed by a few days to visit other biblical sites and excavations. Just let me know if you’re interested or have any questions. Thanks for your comment. I really enjoy your website and highly recommend it to all my readers. Thank you for the invitation to dig at Tel Lachish. I will seriously consider it and pray about it. God bless you as you excavate this season. I look forward to the knowledge that this excavation will continue to bring to our understanding of the Bible.